Mustard Yellows and Dark Olives, Knee-high boots and trench coats, over-sized sweaters and leather, tribal and plaid… there’s so much to LOVE about Fall Fashion. Some classic loves and some new, Fall trends never cease to fail me — my FAVOURITE fashion season. Check out a few of these lovely inspirational finds from Polyvore. Seriously, what’s not to love? 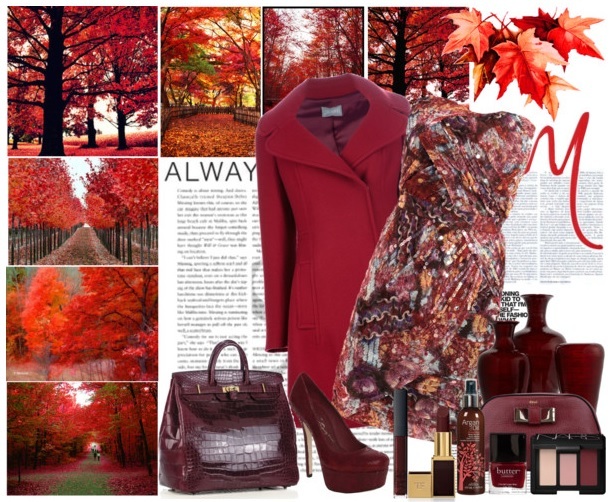 According to Pantone, here is the fashion colour report for Fall 2013 for Women. I love them all! Hard to choose a favourite in this batch. Although I will be sad to bid adieu to the warmer weather, longer days of sunshine and sandals, looking at these fab fashion trends is making me super excited to welcome Fall weather (with a warm latté). I love the Mykonos Blue color and the leather touches for Fall! Loving all the colours for this Fall. Fall fashion never fails anyway. My favourite fashion season too! Fall fashion all the way!